Succession law reform: What does family mean to you? The definition of “family” has changed. Gone are the days when the majority of people married, stayed married, and had 2.4 children. While the number of people divorcing in Scotland has been slowly decreasing in recent years, the number of people choosing not to get married and instead deciding simply to cohabit has continued to rise. This blog looks at the Scottish Government’s current consultation on succession law and options for reform when providing for other members of a “family”. 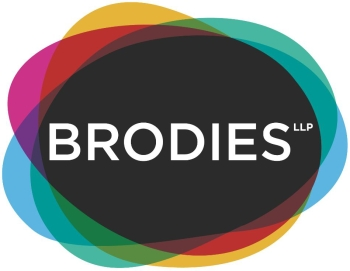 With more cohabitants than ever before, the Scottish Government has seen fit to consider whether, when it comes to the law of intestacy, cohabiting couples should be treated in the same way as married couples or civil partners. In our sister blog on “Succession law reform: Who would you expect to benefit?”, we looked at the Scottish Government’s proposals to change what happens to a person’s estate when they die without a will. As part of this, the Scottish Government looked at the laws of intestacy in other jurisdictions, focusing in particular on Washington State, USA and British Columbia, Canada. In Scotland, the current law provides that a cohabitant whose partner dies must apply to the court for financial provision from their partner’s estate, regardless of how long they lived together. The right is not automatic or certain. Contrast Washington State, which does not give any recognition to cohabiting couples under their laws of intestacy. At the opposite end of the spectrum, British Columbia (like numerous other jurisdictions) treats cohabitants in the same way as spouses, including in the very definition of “spouse” couples who “had lived with each other in a marriage-like relationship for at least two years”. Of course, where the definition of “spouse” includes cohabiting couples, it is also necessary to consider what happens where a deceased dies leaving, in effect, two spouses – a spouse to whom he or she was married but estranged from, and a cohabitant. The laws in British Columbia provide for just that scenario, leaving the division to be determined by the agreement of the surviving spouse and cohabitant, failing which by the court. New Zealand, on the other hand, provides for equal sharing, while Norway precludes recognition of cohabitation where the deceased was also married. Scotland’s current default laws give priority to the spouse over a cohabitant. Add into the mix the question of whether step-children should be treated in the same way as biological children or if they should, as an alternative, inherit where no other family survives and the estate would otherwise pass to the Crown. What all of this goes to show is that it is difficult (and perhaps “controversial” as the introduction to the consultation documents says) to craft intestacy legislation in such a way as to reflect everyone’s definition of what “family” is. The only way to provide for your definition of “family” and ensure that the ones you love and care about are provided for is to write a will. Cohabiting couples in Scotland really must make a will. To provide for step-children, a will is best. Relying on any reform to succession law or relying on making a claim to the court as a cohabitant under the current rules is not recommended.